Ryan Seacrest wants to give back to teachers, whom he credits for giving him his first taste of broadcasting. This might not come as much of a surprise, but Seacrest wasn't exactly a quiet kid in school—much to the chagrin of his teachers. "All of my teachers knew me as the kid that talked a lot, and sometimes would forget to raise his hand," Seacrest told Adweek. In a story Seacrest will share Friday night on Think It Up, a one-hour telecast that will air across NBC, Fox, ABC and CBS, the multihyphenate talent will mention how he was convinced to do his school's morning announcements as a way to channel his energy. "In a way, there are three or four teachers that gave me that first broadcasting job, which was to say, 'Please rise for the pledge,' " Seacrest says. "I got really invested in doing a morning show over the PA system at school." The telecast, which kicks off a three-year, $30 million education initiative from the Entertainment Industry Foundation—also known for its Stand Up to Cancer campaign—will feature numerous celebrities including Gwyneth Paltrow, Matthew McConaughey, Scarlett Johansson and Kristen Bell sharing stories of how teachers have influenced them. 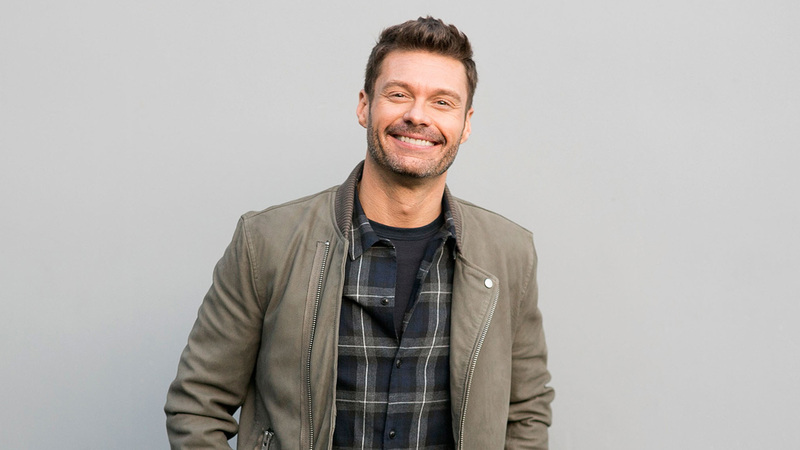 Seacrest's full-service marketing and PR agency, Civic Entertainment Group, has been a major backer of the campaign; Stuart Ruderfer, CEO of Civic is an executive producer of the Think It Up telecast. Lisa Paulsen, EIF's president and CEO, adds that the group used the Stand Up to Cancer program as a framework for Friday's telecast. "It's the same kind of format from a storytelling perspective," she said. Ruderfer tells Adweek that the plan is for the Think It Up telecast to alternate with EIF's Stand Up to Cancer every other year, with SUTC doing its annual telecast (it's had four so far) during the even-numbered years and Think It Up going on the odd-numbered years. The commercial-free telecast is done in partnership with sponsors including Staples, The Bill & Melinda Gates Foundation, ExxonMobil and Ashoka; each will get a shoutout during the event to highlight how they are working with schools. Staples has already sponsored a PSA and pledged $10 million to Think It Up. "To stay competitive as a nation in this global world, you have to look at our education within the country," says Seacrest. "In order to be a better country, we've got to be competitive in all facets of business, and education is the key to that. Young people care about the economy they care about the environment and they care about what's happening around the world."